After bringing the food truck phenomenon mainstream with Kogi, Roy Choi has expanded his burgeoning empire first with Chego, and now A-Frame (and soon Beechwood Kitchen in Venice). Built in a defunct IHOP, A-Frame is labeled as a modern picnic serving good food that is meant to be shared and enjoyed without the pretension of more refined restaurants. Nothing subtle about this drink, the combination of mezcal and habanero combines for a one-two punch of smoke and spice tempered ever so slightly by a sweet citrus tang. I really had a hard time describing this drink. 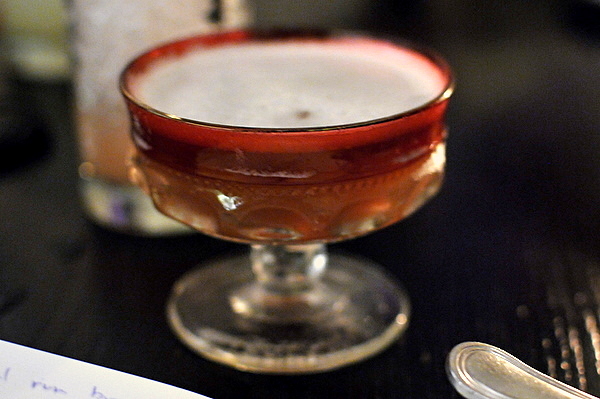 Besides the slight burn of the rum, the combination of falernum, lime and bitters balance one another nicely resulting in a pleasing but somewhat nondescript libation. 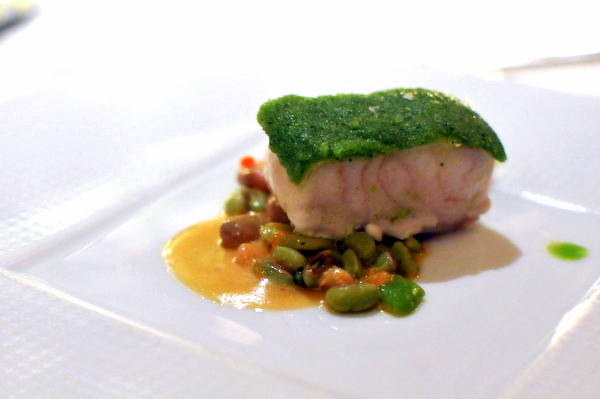 A prototypically light fish course, that felt a bit watered down for my tastes. I would have preferred a more robust sweet herbaceousness from the combination of melon, basil and cucumber, but given that this was the first course the light freshness wasn't entirely unwelcome. This was one of the strongest courses of the night. 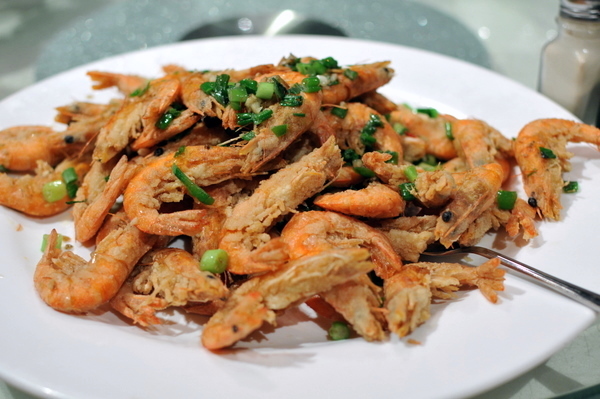 The shrimp itself was overshadowed by the addictively tangy bite of the dipping sauce and the fresh zest of the accompanying herbs. 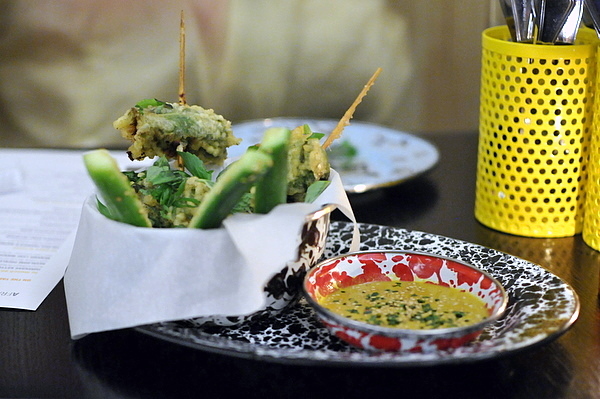 The sesame dusted cucumber provided a pleasing succulent respite between bites of the tempura. 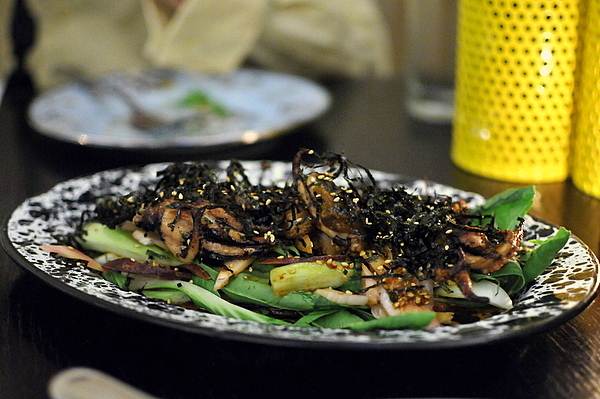 I rarely pass up an octopus course these days and though the mollusk could have been a touch rarer, the sweetness of the lightly caramelized exterior complimented the crisp vegetal levity of the vegetables nicely. Another contender for best dish of the night, the mixture of curry, lemongrass and coconut milk is reminiscent of a tom yum soup while the pancetta and clams add a subtle umami sapor to the broth. 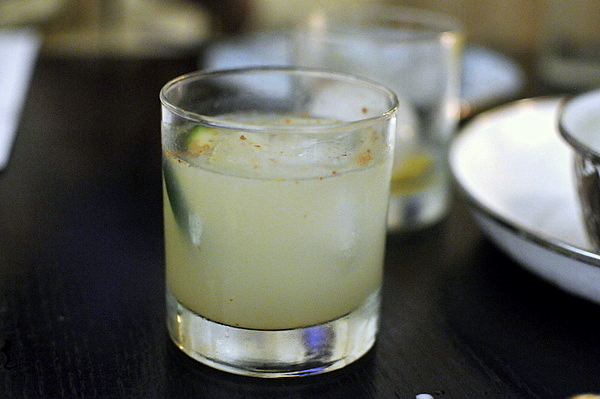 I almost always order cucumber-based cocktails and this was right up my alley with a piquant spice and fresh undercurrent thanks to the cucumber. I was hoping for an assertive bourbon drink tempered by the grapefruit and other accompaniments, but the Del Mar definitely favored the allspice and vanilla, giving the drink a sweet spiced warmth that I found reminiscent of Christmas. Part of the "modern picnic" experience is the use of communal tables where strangers can get to know each other and share a meal. Chris and Janice, the couple sharing our table was kind enough to offer us some of their kettle corn which I found quite tasty; the typical salty sweet combination is amped up with a heady buttered richness. I'm not really sure how I feel about this course; on the one hand, I enjoyed the crisp exterior of the meat, but at the same time I found the ribs a bit dry. 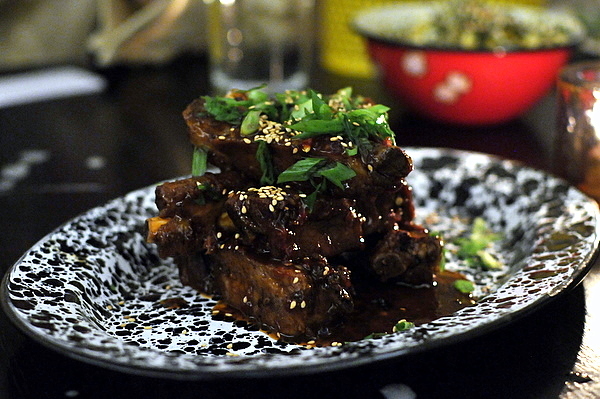 The glaze gave the meat a flavor reminiscent of chashu, basically BBQ with an Asian flair. The roasted leg of lamb was a nice change from the more common lamb chops. With generous bits of fat, the meat was one of the gamier preparations of lamb that I've had lately but the salad and tang of the salsa verde deftly countered the weight of the meat. 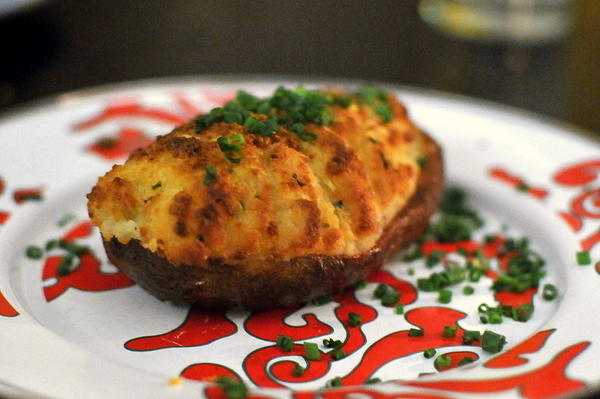 Duchesse potatoes are typically a combination of mashed potato and egg; this preparation is augmented by heavy doses of butter and cream as well as a nutty salinity from the parmesan. 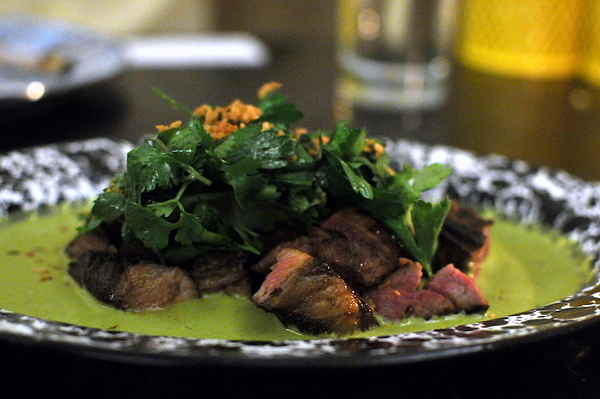 A simplistic and satisfying dish that reflects the unpretentious nature of the restaurant. I had envisioned a bowl of fried bits and pieces rather than the soupy preparation that we got. A touch bland on its own, the knuckle sandwich reminded me of a Chinese beef noodle soup once we poured the soy dipping sauce into the bowl. 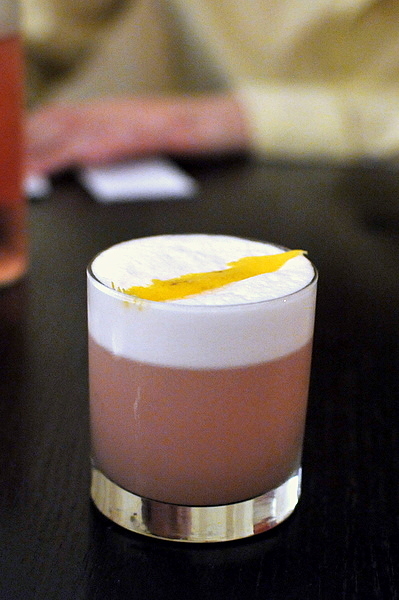 My final drink of the evening was an aromatic gin mixture topped with a thick frothy head of whipped egg. 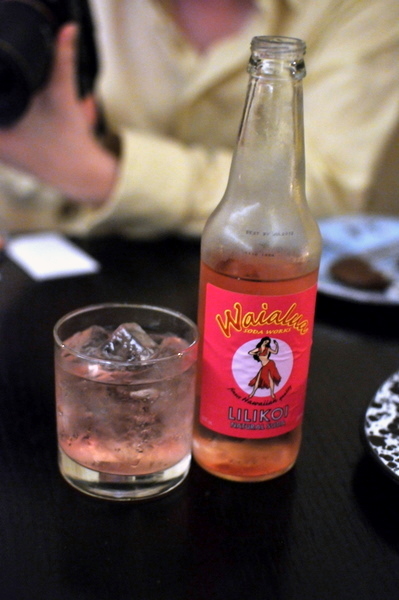 Though A Frame has a good selection of alcoholic offerings, they also offer an interesting selection of soft drinks. 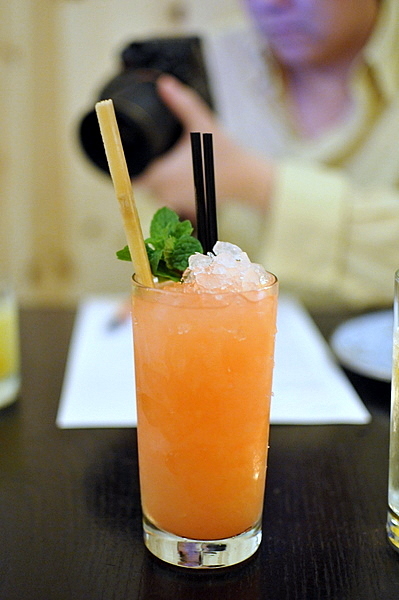 Though lilikoi is Hawaiian for passion fruit, this drink had more of a peach or melon like flavor. 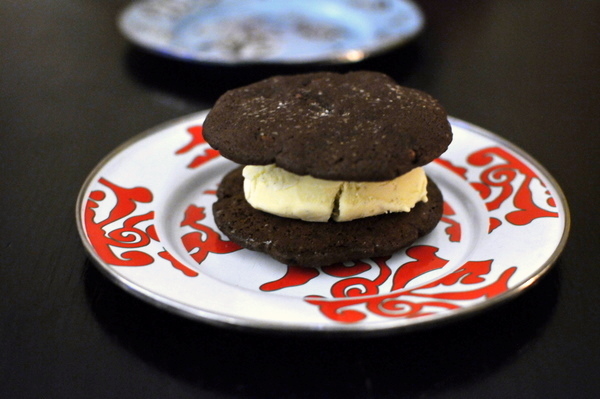 The sweetness of the ice cream is tinged with the subtle fragrance of the Szechuan peppercorns, a savory compliment to the salted chocolate cookies. Definitely one of the more creatively named courses I've seen. 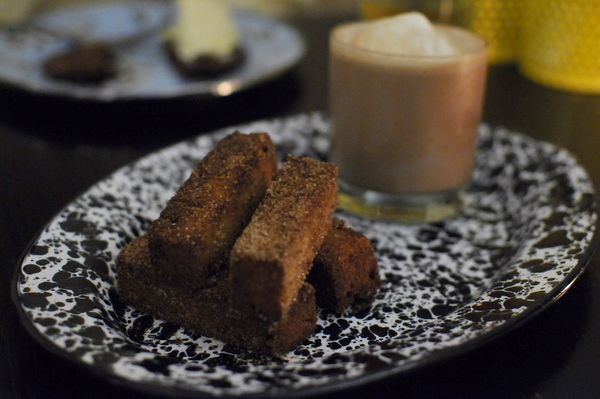 Beneath the crunchy thick exterior of the churro, lurked a soft dense absorbent cake-y core. We were advised to take a bite of the churro then dip it into the milk and let it soak up the heady chocolate and vanilla goodness. A Frame doesn't have the sophistication or polish of other contemporary Asian restaurants like Lukshon or Red Medicine, but the food is comfortable, satisfying and fun, everything a picnic should be. 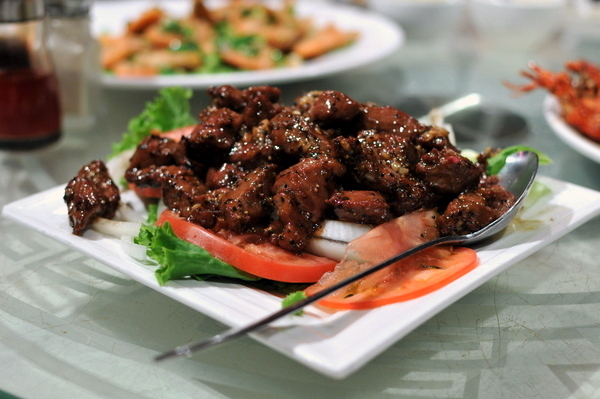 It isn't often that a Chinese restaurant starts in Orange County and expands to the SGV so it stands to reason that Newport Seafood must be something special. Despite having moved to a larger space, the restaurant is perpetually packed and we had to wait about 40 minutes for one of the semi-private booths to open up. The salt and pepper shrimp was provided in lieu of the baked crab which was apparently sold out. Though the flavor was enjoyable the shrimp was overcooked making the texture dry and rubbery; a poor substitution for the crab that we were expecting. 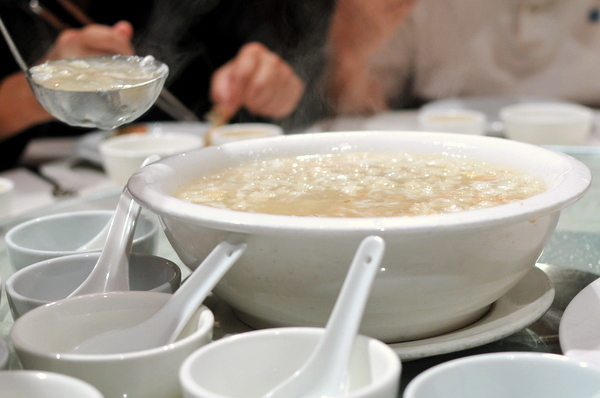 Fish maw is a popular ingredient in high-end Chinese soups. The jelly like consistency and slight umami sapor of the swim bladder complimenting the crab's sweet salinity. This was probably the best course of the night and be best French-style beef that I've had. The dish isn't leaps and bounds above its peers, but the delectably tender texture and succulent contrast of the fresh tomatoes and onions do serve to set the dish apart. J Gold declares this the best in SGV and I find myself inclined to agree. 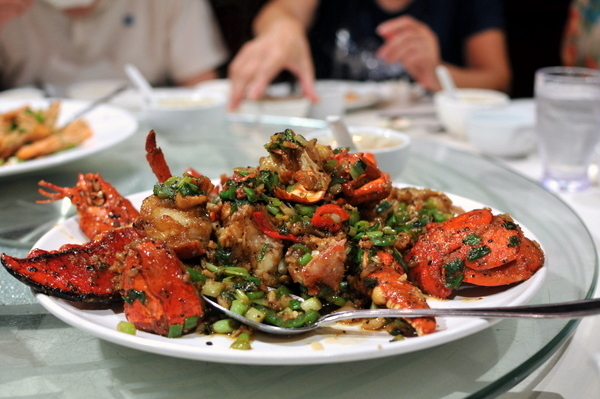 Without a doubt, the special lobster is the dish that put Newport Seafood on the map. My first time here, I was a bit underwhelmed as the lobster tasted under seasoned. Things were markedly better this time around, the snappy lobster offered a deep wok fired sapor heightened by a robust garlic and spice tinged sauce. 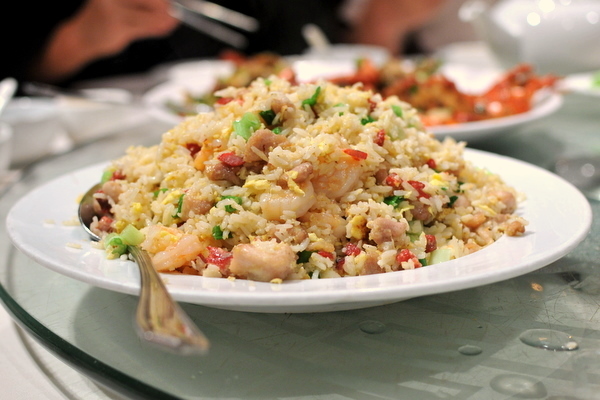 Like the French-style beef, the fried rice exemplifies what sets Newport apart from its competitors. 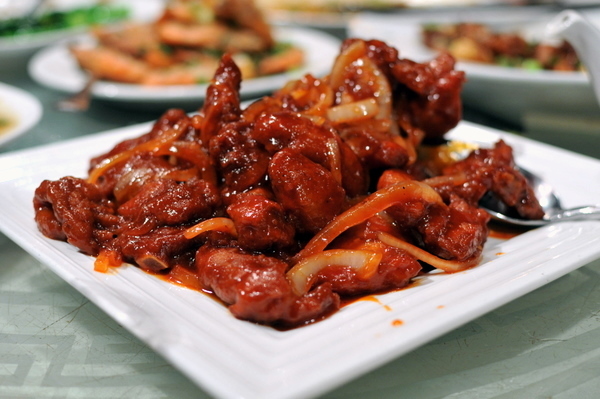 In most respects, the dish is similar to its counterpart at the innumerable other Chinese restaurants that dot the SGV, but when it comes down to the flavor and the subtle nuances this just feels more on point. In my family, the eldest relative always goes first when a new dish is brought to the table. Occasionally this means the kids are lift with scraps which happened to be the case here. 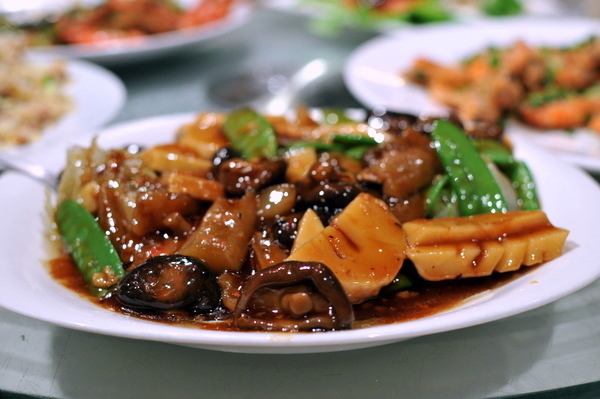 I was able to taste the mixed vegetables that accompanied the sea cucumber but I hesitate to judge a dish without tasting the key ingredient. Though perhaps I should let the absence of sea cucumber speak for itself. 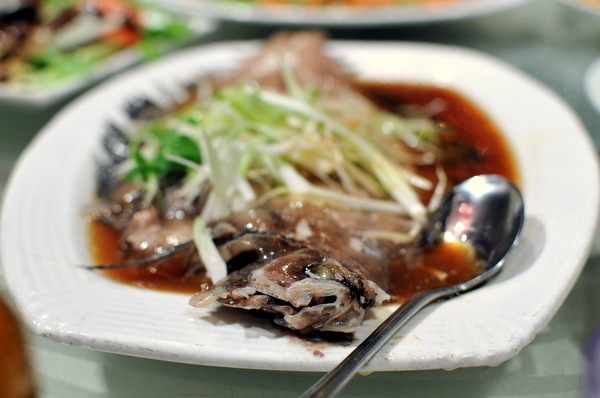 A fairly textbook steamed fish, the mild white fish is completely dependent on the sauce for flavor. Ever since I was a little kid I was happy to forgo the fish in favor of eating a big bowl of rice bathed in the sauce. 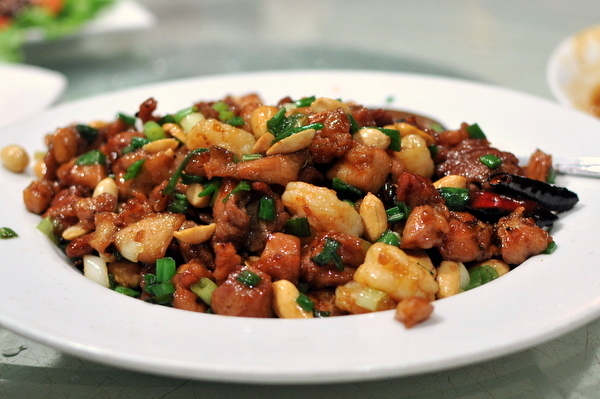 I always feel a bit embarrassed having Kung Pao anything at a Chinese restaurant. Discomfort aside, there was something addictive about this dish and I noticed my cousins returning for more time and again. 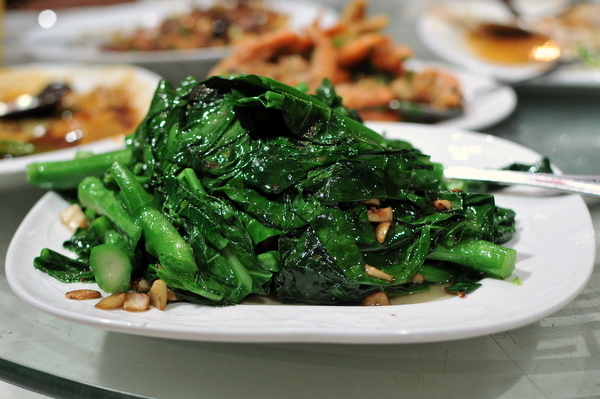 I was disappointed that my father opted for the broccoli, as the pea shoots were one of the highlights of my previous visit. The broccoli was fairly typical, with a monolithic bitterness, rather than the grassy levity of the shoots. 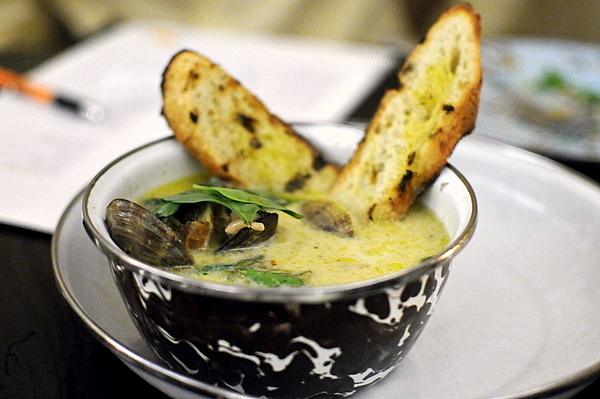 The clams were another of the night's stars, with an immensely satisfying contrast between the herbaceous basil and bitter salinity of the clams. 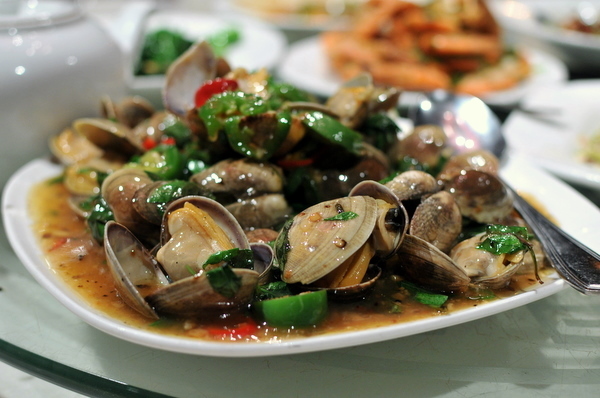 After we polished off the clams, I was again compelled to get some rice and slather it with spoonfuls of the basil and chili gravy. The pork chop itself was nicely cooked, with a light batter and moist interior, I never cared for sweet and sour dishes and the sticky saccharine sauce here didn't do anything to change that opinion. 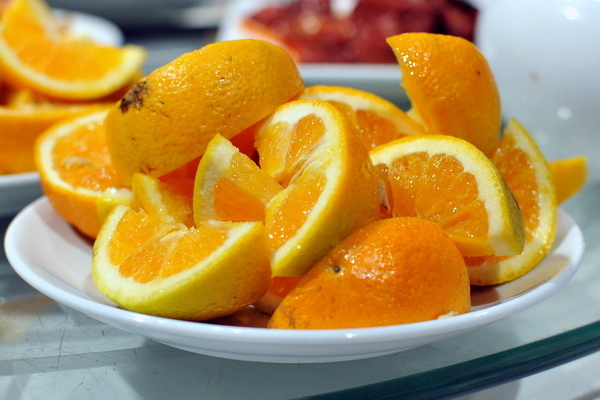 These sliced oranges hardly merit being called a dessert but their sweet juice was a nice way to wash down the salt and oil from the meal. My first visit time here was enjoyable but underwhelming; the lobster in particular didn't live up to the hype. The food felt a bit stronger this time around and I was able to see some flashes that help separate Newport from the pack. Eight courses of foie gras?!? This meal should come with its own surgeon's general warning. 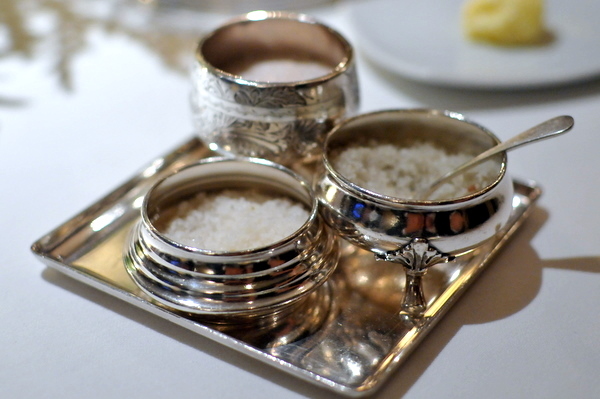 As much as I love foie gras I have to admit I was a bit concerned with eating eight courses of the stuff. 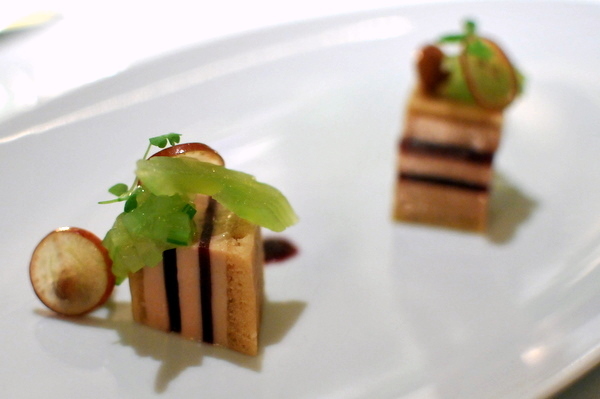 The impetus behind the meal is the upcoming ban on the production and sale of foie gras which takes effect July 2012. Lefebvre, Dotolo, and Shook wanted to call attention the law and celebrate the ingredient they so love working with. Personally I suspect the trio also enjoyed tweaking the noses of the foie protesters who have harassed diners outside numerous restaurants; it was certainly an added bonus for me. I expected the protesters to be out in force when I arrived, but there were surprisingly few for a dinner that incorporates foie gras into every dish. 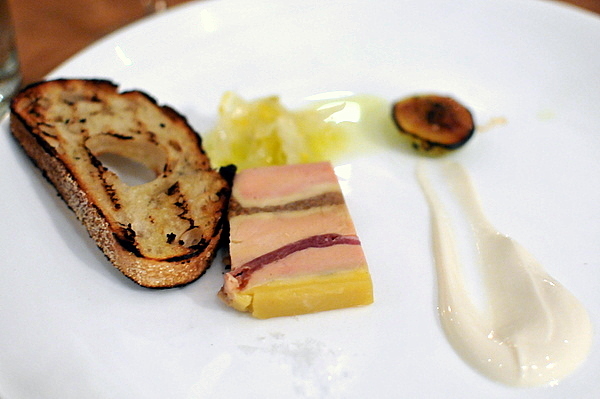 First up was a relatively conventional preparation of foie gras, a marbled terrine. Ludo sandwiched thin layers of proscuitto and fig between thick creamy slabs of terrine giving the liver a seamless salty sweet interplay. I also appreciated the contrast between the bitter char of the toast with the floral saccharinity of the honey as well as the herbal tang of the marinated fennel all of which added another layer of complexity and flavor to the dish. The second dish was another Ludo creation, that he first debuted at 7.0. The foie is almost a secondary element a buttery velvety whisper on the tongue that elevates and augments the delicate flavors surrounding it. Again a cerebral and nuanced dish except for the lemon confit which added a potent burst of concentrated citrus that I quite enjoyed but overwhelmed the dish in large quantities. After two dishes from Ludo, it was time for the Animal boys to show their stuff. The veal tongue easily stole the show here: deliciously slick with a satisfying pastrami-like sapor tempered by the sweet tang of the crab apple relish. The quinelle of liver added a palpable sense of smoke tinged while the sauce delivered a spicy mustard bite taken together with the veal reminded me of a deconstructed hot dog. Ssam literally means wrapped in Korean, but this lettuce wrap had more of a Vietnamese flavor to it thanks to the accompanying herbs. 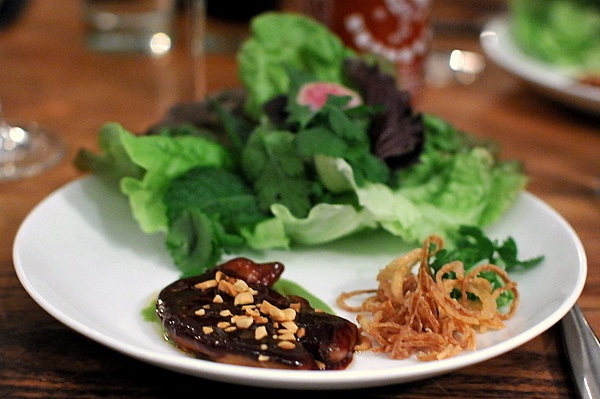 The foie was a seared preparation, topped with peanuts and resting atop a lemongrass tinged curry. The gravity of the foie is dramatically diminished by the vegetables leaving behind a satisfying sense of richness coupled with a savory tinge from the fried onions. I didn't see the char siu anywhere but this didn't need it. 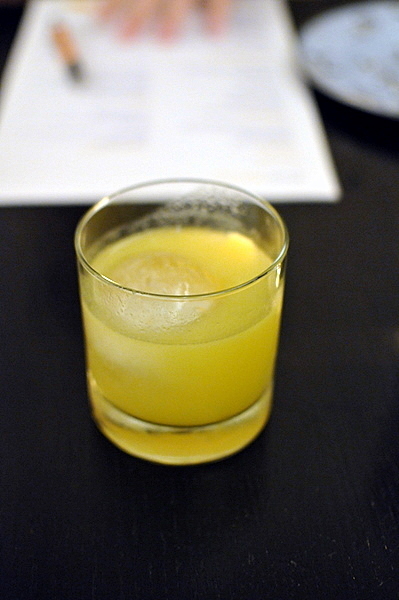 The pleasing juxtaposition of heavy and light ingredients made this my favorite for the night. 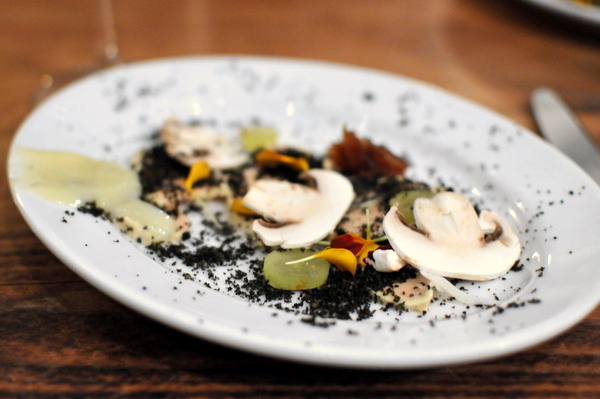 Ludo's previous incarnation of steamed foie still stands as one of my favorites of all time. 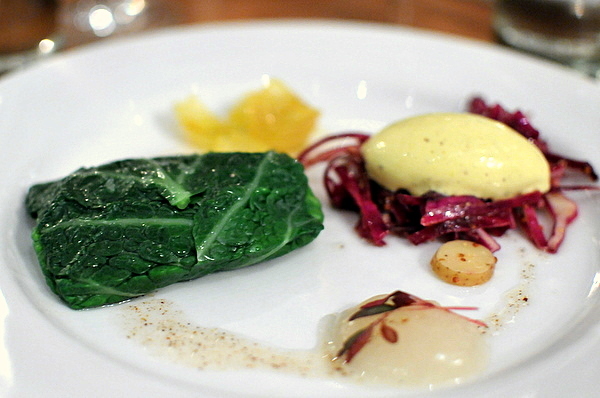 This recaptured some of the magic coupling the slick decadent liver with the enveloping bitter crunch of the cabbage. Cabbage and foie is a classic pairing that has fallen out of favor but I feel it offers so much more versatility than sweeter preparations. With both this dish and the crudo, Ludo clearly shows of a level of control and complexity often overlooked when preparing foie. 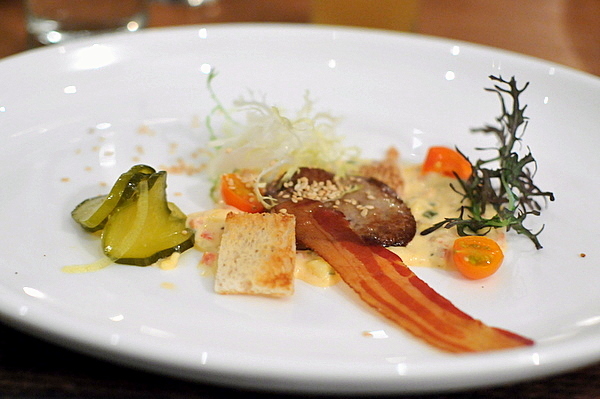 If anyone could make a foie gras taste like a burger, it would be the two dudes. The condiments certainly gave the impression of a burger, particularly the sweet pickles and pimento cheese. I appreciated what the chef was trying to do with this course but it didn't scream burger to me the way the smoked foie reminded me of a hot dog. 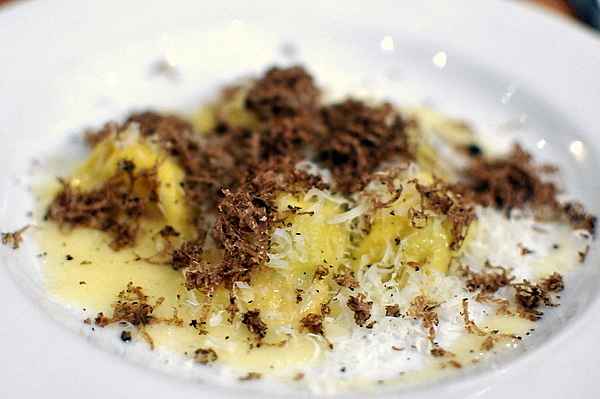 The last course consisted of five agnolotti stuffed with a concoction of sweet corn and foie then topped with shaved black truffles. The sweetness of the corn and earthy aroma of the black truffle are immediately apparent. 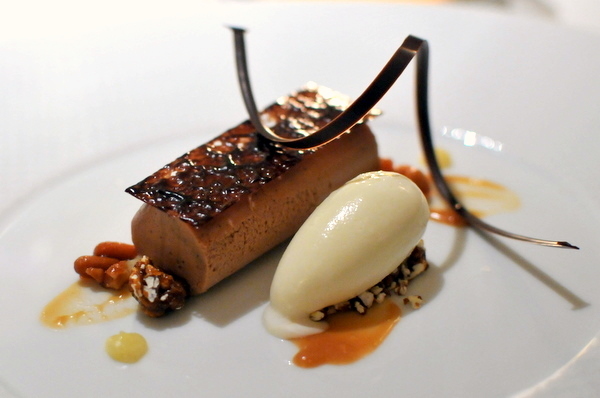 The foie is more of a supporting element, lending a savory twang to counter the weight of the other two flavors. The foie here was almost invisible, and even tasting the chantilly cream on its own, I got more of a salted caramel essence than the savory offal kick I was expecting. Regardless this was a delicious dessert, sweet, creamy and satisfying I was stuffed but I would have been happy to put down another one of these. Despite knowing the prowess of Ludo and the Two Dudes, I must admit that I approached this meal with some trepidation. Would the food be too heavy? Would I need a triple bypass in the morning? Happily neither of these happened. This meal showed a surprising amount of finesse while celebrating the versatility of this beautiful ingredient. With only two nights, this is certainly a high-demand event and if you couldn't get a reservation but still want to check it out, I recommend showing up early, and trying to score a seat at the bar. A temple of gastronomy. A culinary Mecca. 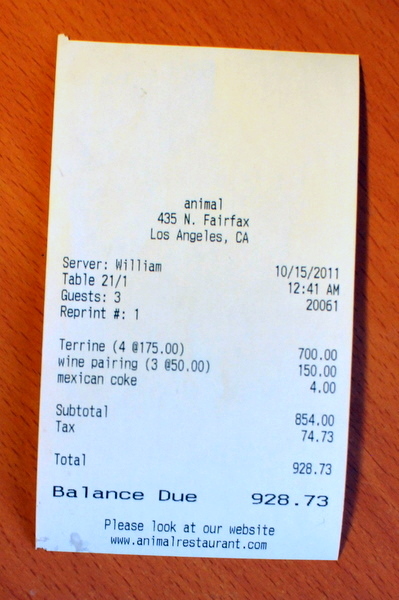 Of course I am referring to The French Laundry. 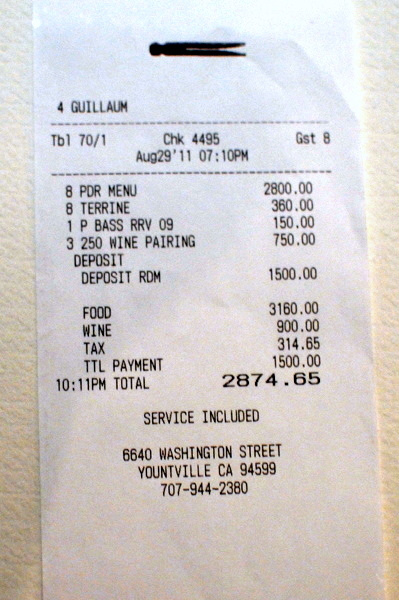 My first trip here still stands out as one of my single most memorable dining experiences of my life. I was actually fortunate enough to visit the restaurant again this year on Valentines Day and though I wouldn't normally revisit a restaurant of this caliber so quickly when someone offers to pay its hard to turn down. This time around we booked the private dining room, which takes reservations up to a year in advance. I highly recommend this route to anyone who can fill a table and has a flexible travel schedule as it is much easier than trying to fight through the normal reservation line. Though I've had many a gouger, French Laundry's have consistently ranked among the top and this was perhaps the best one yet. The dainty little puff burst upon mastication releasing a veritable flood of warm cheesy Mornay that left me craving more. 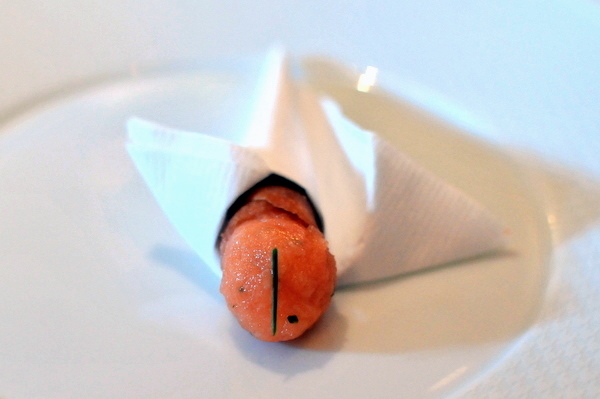 Like the gougeres, the salmon tartare cones always preface the main meal. The salmon is so finely minced it takes on an almost creamy consistency nice against the buttery richness and crunch of the sesame tuile. As much as I harp on the importance of contrast and balance, pure unadulterated decadence has its place as well. Raw, the oysters have a distinct minerality, but butter poaching them strips off the more assertive flavors while leaving the salinity intact. 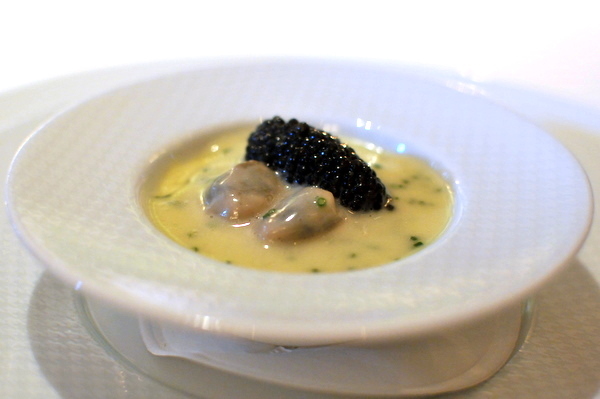 The heady richness of the "sabayon" adds a luxurious heft while the caviar ratchets up the salinity of the dish. At once simple in its focus yet elegant in its execution, one of my companions declared that had the meal ended after this course he still would have left happy. I asked about this during my visit in February and was told that the course was available only by request. I had this my during my first visit years ago and still think about the course from time to time. 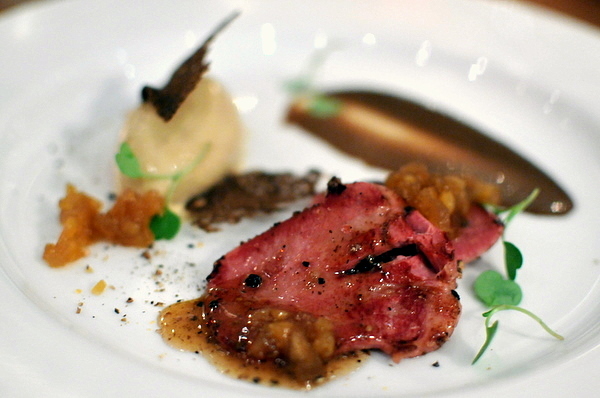 This time around the fragrant aroma of truffle was diminished by a dark savory weight from the veal. 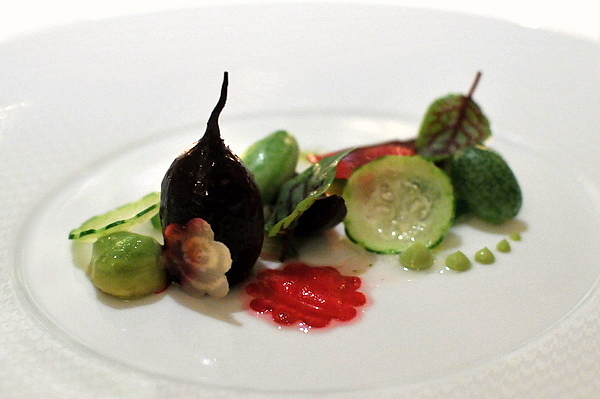 03: SALAD OF FRENCH LAUNDRY GARDEN BEETS - Hass Avocado, Compressed Cucumber, Red Ribben Sorrel and Yuzu "Gastrique"
As much as I dislike beets I was curious to see what kitchen could do with them. In the end I'd say the dish was a moderate success, the typical cloying sweetness is balanced nicely by the floral sweetness of the yuzu, but texturally the beets were pretty much unchanged, dense, soft, and blunt. 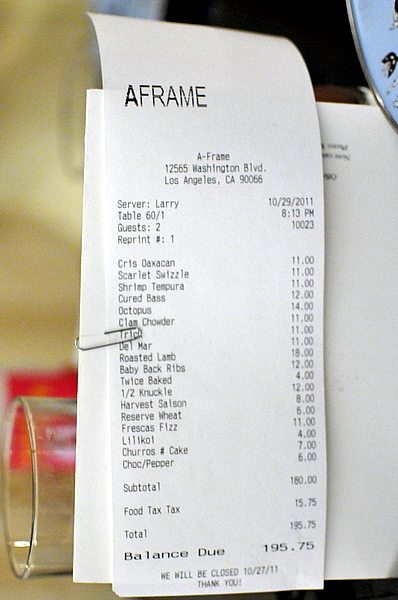 The foie gras was a supplement to the regular meal and always well worth the additional cost. Laundry typically serves their foie cold, usually some sort of torchon preparation though our waiter did mention a warm preparation was available upon request. 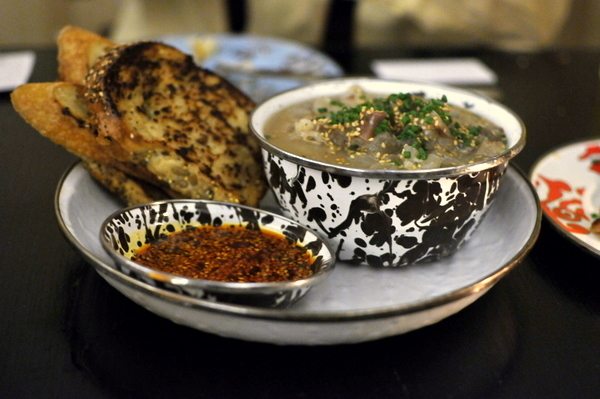 The liver has a consistency akin to soft butter or in this case a creamy peanut butter. 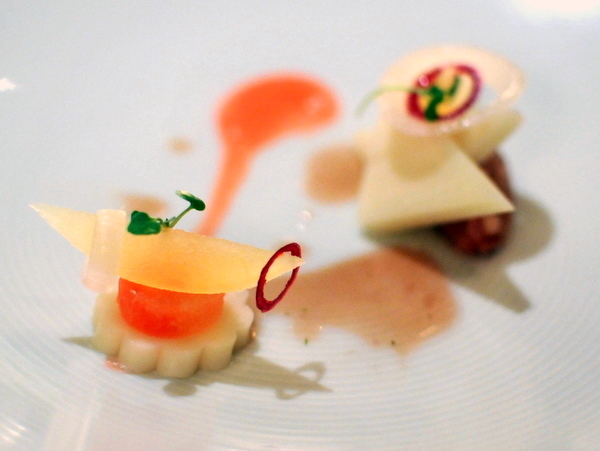 The Concord grape gelée offers a nuanced sweetness while the celery gives the dish a magnificent crunch and contrasting bitter tinge. 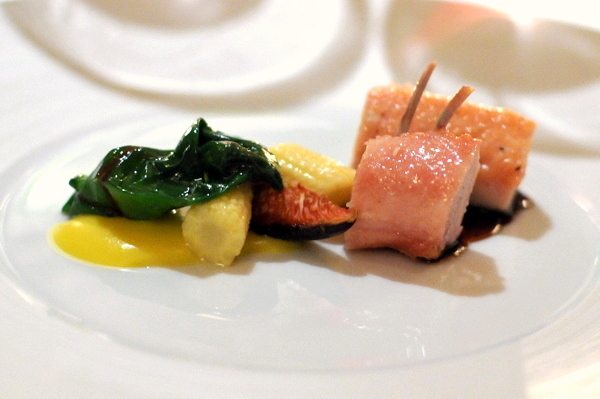 The sturgeon was the one course that missed the mark for me. Though the fish was cooked perfectly giving it a pleasing dense flakiness, but in terms of taste it was just boring. The beans were equally satisfying texturally but didn't add much flavor-wise. 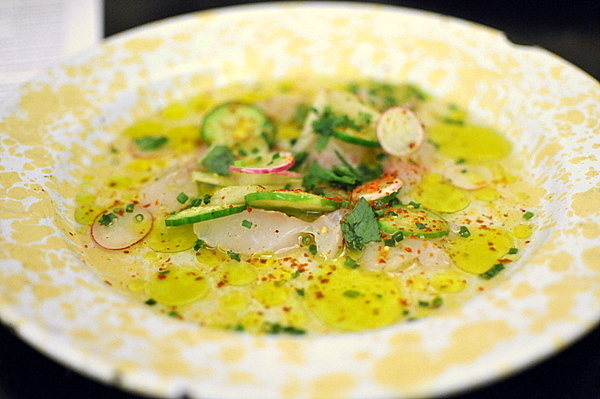 A more savory or earthy accompaniment would have worked better to highlight the delicate flavors of the fish. 05: SWEET BUTTER-POACHED MAINE LOBSTER TAIL - Bluefoot Mushrooms, Marble Potatoes, Red Radish, Parsley and Padrón Pepper "Vierge"
Of the three butter poached lobster preparations I've had at the French Laundry, this was the most traditional and cohesive of the bunch. As always, the lobster tail remains the star of the show; its decadent buttery sweetness and taut snappy crunch are simply unmatched. 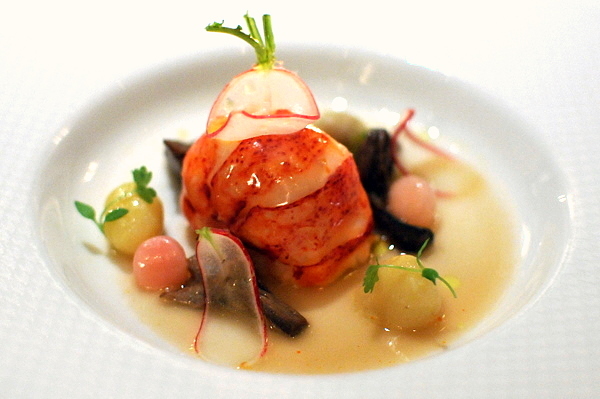 The potatoes and radish give the dish a satisfying complexity while the musky salinity of the fungi heightens the lobster's natural brine. The rabbit is lissome and delicate yet immensely flavorful while the black truffle sauce is luxuriously weighty yet restrained enough to compliment the meat rather than overshadow it. 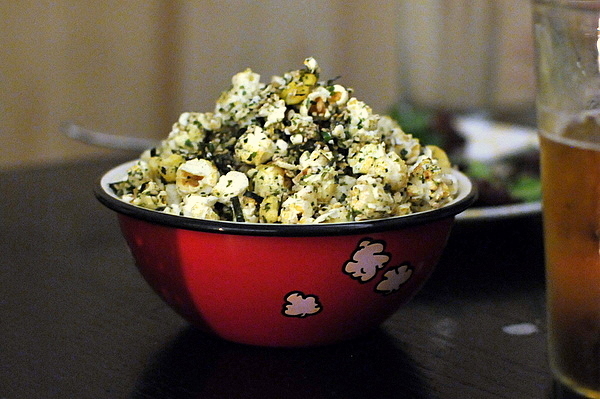 The accompaniments of corn and fig are profoundly sweet while the chard provides a verdant bitter counterpoint. The resulting combination is nothing less than refinement personified. 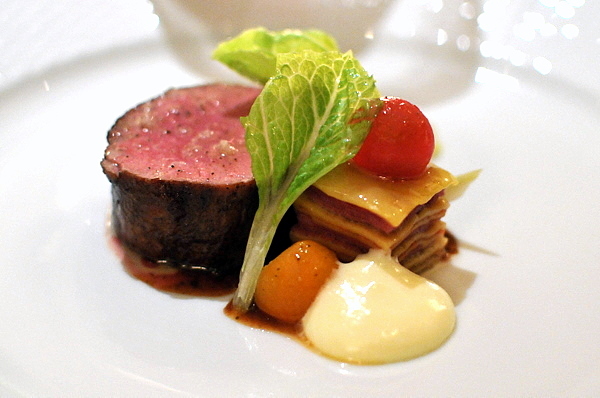 07: MARCHO FARM NATURE-FED VEAL - "Lasagne de Langue de Veau," Toybox Tomatoes, Globe Artichoke, Romaine Lettuce and Castelmango "Mousseline"
The veal's sheer profundity and depth of flavor coupled with its exquisite texture was nothing short of magnificent. The lasagna of veal tongue provided complex nuances of a robust and slightly piquant salinity while the verdant succulence of the lettuce and sharp zing of the tomatoes added a contrasting levity to th emeat. I used to wonder what all the hubbub about veal was; leave it to Keller and his crew to open my eyes. The Tomme de Brebis was a fairly innocuous and approachable cheese, with a middling texture and subtle undercurrent of sharpness that highlighted the interplay of the vibrant bacon-onion marmalade with the more restrained apple and watercress. 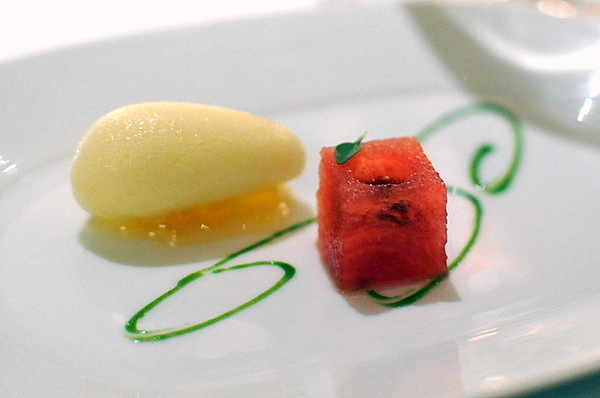 The watermelon sorbet served as a wonderful palate cleanser and bridge between the savory and sweet courses; the summery freshness and sweet succulence of the melon is augmented by the dark viscous sweetness of the Saba. The final documented course was a decadent chocolate shot through with intensely sweet caramel. The saccharine weight of the chocolate is masterfully countervailed by the salty punch of the popcorn ice cream. 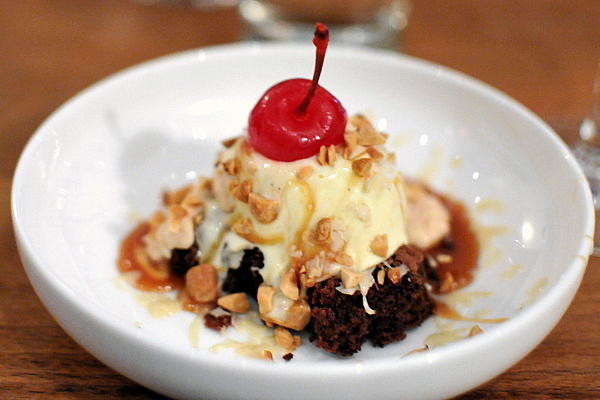 A masterful use of savory and sweet elements that left me hungering for more. 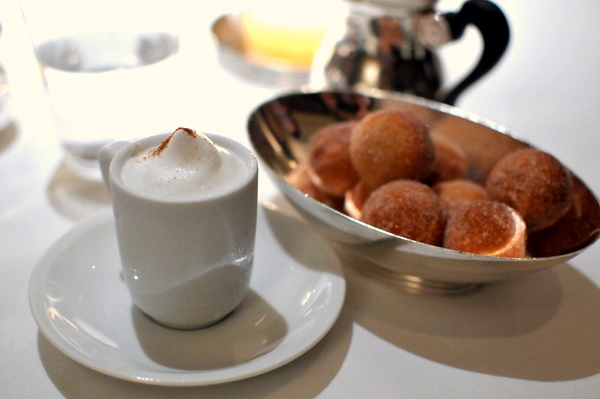 No meal at The French Laundry would be complete without Keller's signature "Coffee and Doughnuts." The combination is almost laughably simple, pairing airy beignets (read: donut holes) with an espresso semifreddo (a.k.a: coffee ice cream), but despite its simple nature this dessert never fails to please. Completing the meal was a sextet of chocolates: ginger & rum, PB&J, bing cherry, olive oil, hazelnut crunch, and meyer lemon. I sampled all six of mine and they were superb. 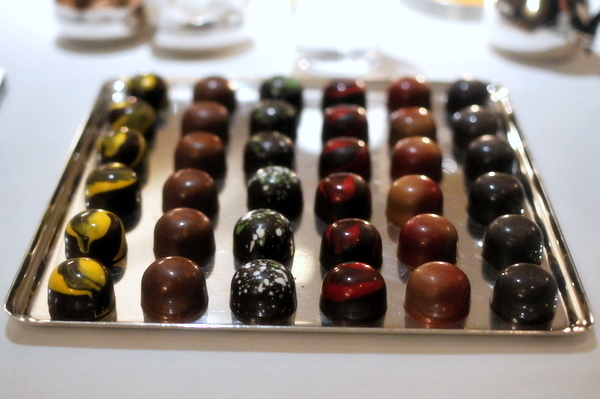 That these chocolates compare favorably with those sold at any gourmet chocolatier speaks volumes about the kitchen's attention to detail in all that they do. 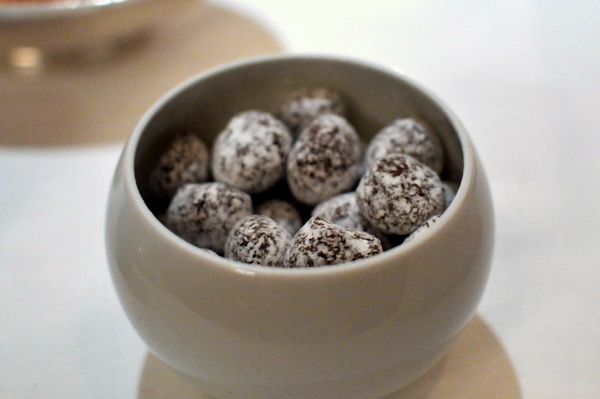 Accompanying the chocolates was a bowl of macadamia nuts covered in hard caramel. The addictive sweet crunch and delightfully toasty char of the nuts kept me eating these long after I was full. Chef Hollingsworth wasn't working Monday, but Executive Sous Chef Philip Tessier was a very able surrogate. After helping Keller open Per Se, Tessier was tapped to lead the kitchen at Bouchon and earlier this year made the move to the kitchen at French Laundry. 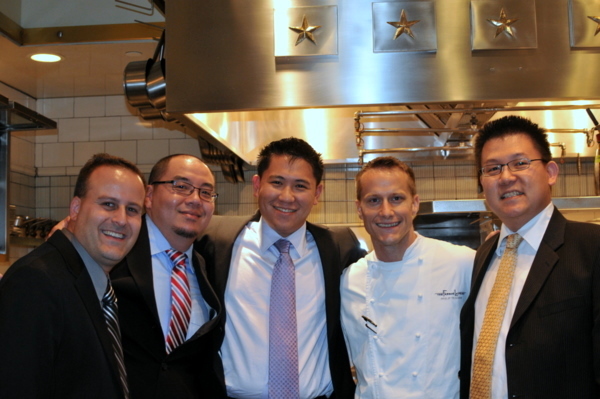 French Laundry was the capstone to a modernist-heavy dining trip that featured Atelier Crenn, Saison, and Baumé,. 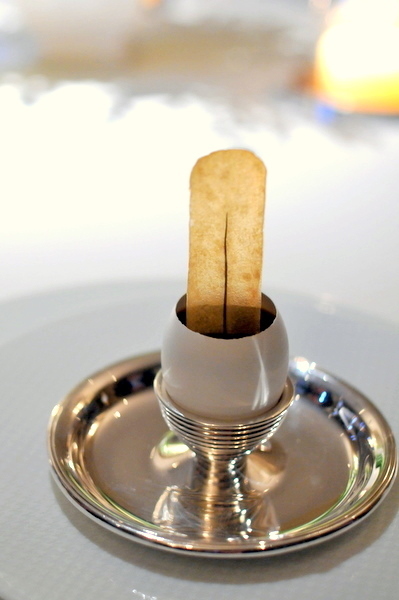 French Laundry may seem dated by comparison but in practice the restaurant is just as captivating despite its decision to eschew more avant-garde techniques. What the kitchen does excel at is creating food that tastes damn good. The lobster and veal in particular were among the best I'd ever eaten. Performing at such a high level is no mean feat and to do it for over 15 years speaks to an unwavering meticulousness and relentless demand for perfection that borders on obsession. 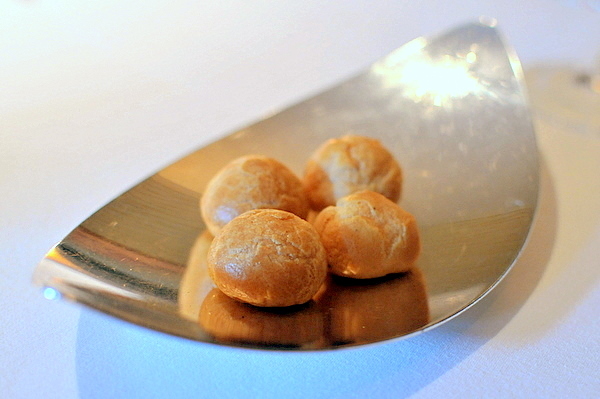 There aren't many restaurants where I expect my next experience to be as good or better than the last, but The French Laundry is certainly one of them.